At Four Seasons OLC our primary focus is on the structural and design patterns creation while constructing the walkway pavers. We bring in all the classic and modern elements of exterior design, aesthetics, colors and ideas into the process. We use the specialty products for pavers including pure stones. Our material selection plays a great role in shaping the strength, insurance, climatic resistance and aesthetic enhancing features. At Four Seasons OLC we use the architectural design and pattern of your home to match the walkway pavers. Color and contrast, style, aesthetic features and design are always in the right coordination with the exterior design of your home. We shape our designs in classical, modern, ultra modern, rustic and corporate patterns. Classical Style: - If you are interested in giving a classical outlook to the walkway, we can use a combination of different pavers made of stones. We design the edges, sides and the central horizontal path in this style with unique color combination. 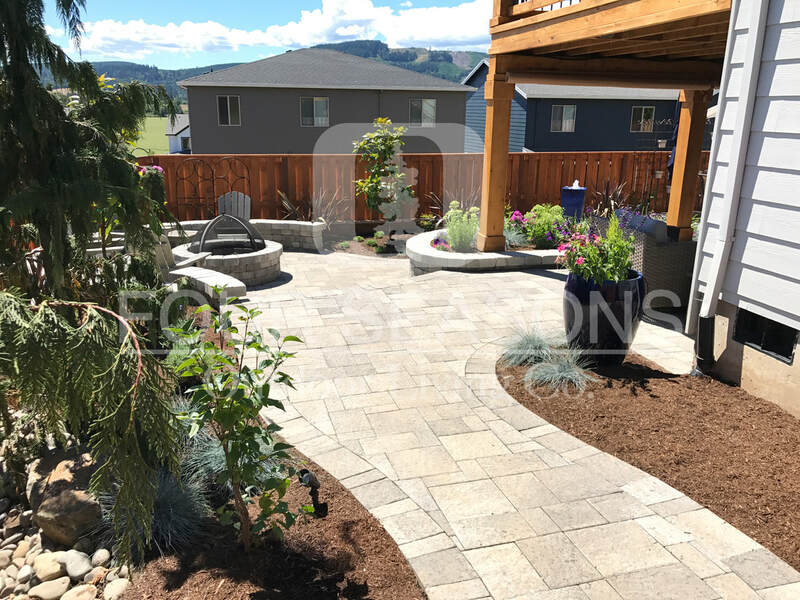 Rustic Style: - We use a rate combination of concrete, fiberglass and clay for the making of rustic style pavers. They produce 3-D contrasting effects at the edges, sides and the central horizontal path. Our effort is to enhance your walking experience using the best combination of designs, colors and patterns. You can choose the latest rustic styles from our design database or suggest your own.